This ultra-mobile projector offers an ultra-slim lightweight design, exceptional image quality and advanced functionality, making it perfect for people who are constantly on the move and frequently make presentations at customer sites. With traditional wired and built-in wireless connectivity, screen mirroring, time-saving set-up plus a range of advanced features, it’s ideal for polished presentations. 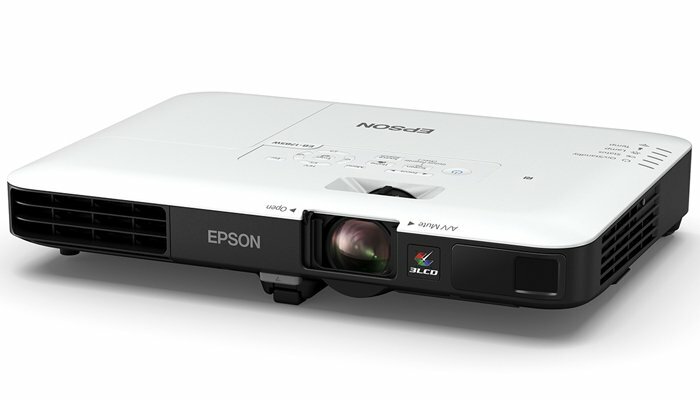 Enjoy superb image quality, impressive natural colours with an equally high white and colour light output of 3,200 lumens thanks to Epson’s 3LCD technology. True Colours technology delivers a faithful reproduction of colours as they are meant to be and, with a 10,000:1 contrast ratio, projected images are crisp and clear.